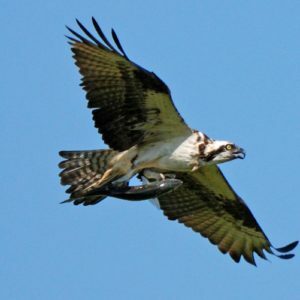 The Connecticut Audubon Society’s Roger Tory Peterson Estuary Center is hosting a three-part Spring Lecture Series from April 19 through May 17. The second lecture in the series will be held Thursday, May 3, at 5 p.m. at Essex Meadows and is titled The Remarkable Edward Lear. Edward Lear (1812-1888) is best known and much loved for “The Owl and the Pussycat.” But he was also a fine painter of birds, mammals, reptiles, and landscapes, and an adventurous, world-wide traveler. 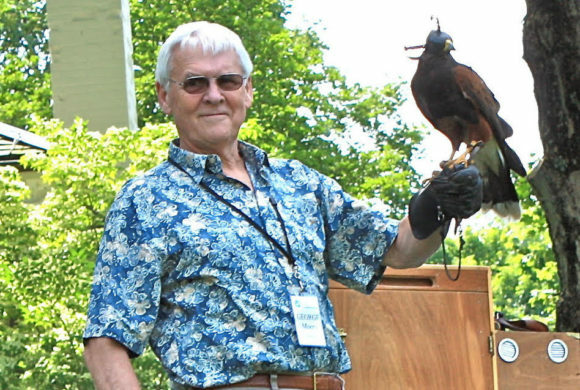 Roger Tory Peterson made his home and, as an adult, found inspiration for his monumental work on the banks of the Connecticut River Estuary. But the seeds of his passion for art and conservation were sown in his youth. Twan Leenders, President of the Roger Tory Peterson Institute in Jamestown, N.Y., will focus on Peterson’s early years, his youthful explorations, and how the hidden treasures of his hometown, were to become a passion and eventually lead to inspiring amateur and professional naturalists through generations and throughout the world. RSVP here. 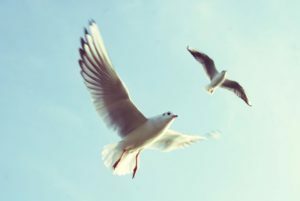 Launched in 2016, the Open Space Watershed and Land Acquisition (OSWA) photo contest has been re-named in honor of Old Lyme resident Diana Atwood Johnson, an avid bird photographer who recently stepped down as the Chair of Connecticut’s State Natural Heritage, Open Space and Watershed Land Acquisition Review Board, having served in that position for 19 years. The contest is intended to provide a venue for amateur nature photographers to celebrate the OSWA program, display their work, and provide Connecticut Land Conservation Council (CLCC) and Department of Energy and Environmental Protection (DEEP) with new materials for our publications and communications. Entrants are invited to submit up to three digital high resolution photos featuring OSWA properties for consideration (1280 x 960 pixels minimum). The winners of each category will be displayed at the 2018 Connecticut Land Conservation Conference, in Connecticut Wildlife (the official bimonthly publication of the DEEP Bureau of Natural Resources), DEEP’s Open Space Annual Report and website, and CLCC’s website, e-communications and other promotional materials. All entries must be received by Monday, Feb. 5, 2018. 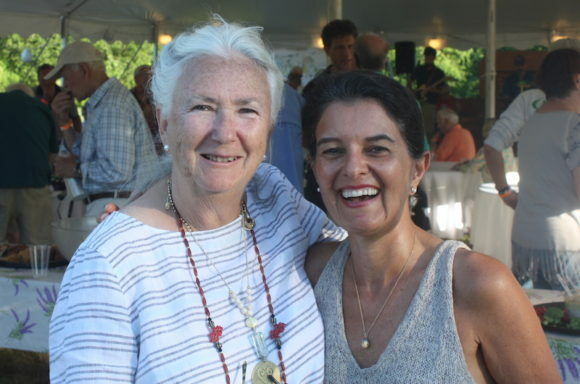 The Town of Old Lyme congratulates Diana Atwood Johnson, 2011 Citizen of the Year and chair of the Old Lyme Open Space Commission, on this most recent honor. 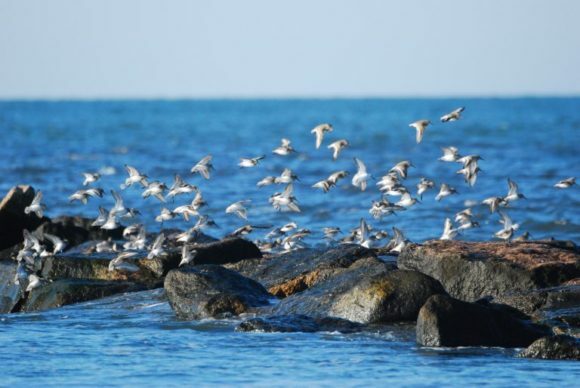 Potapaug Audubon presents “Protecting Plum Island” with Curt Johnson of Save the Sound and the Connecticut Fund For The Environment, on Thursday, Nov. 2, at 7 p.m. at the Old Lyme Town Hall, 52 Lyme St. Plum Island, one of the islands of Long Island, N.Y., three miles south of East Lyme, is in danger of going up for auction. 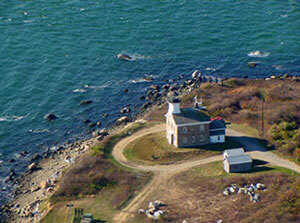 Plum Island is home to more than 1,000 species. 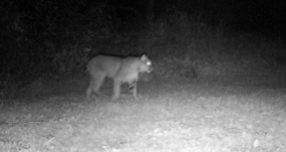 It is a federally-owned wildlife sanctuary in one of the most densely populated areas of the country, but the government is preparing to sell this national treasure on the auction block. That’s where Save the Sound comes in. In July 2016, Save the Sound sued the federal government under the Endangered Species Act and other laws, to encourage a conservation sale. This event is the latest in Save the Sound‘s decades-long history of fighting to clean, protect, and preserve the waters of the Long Island Sound region. Come learn more and see what you can do to help. Vote for Old Lyme as TripAdvisor’s “Best New England Fall Foliage Getaway”! 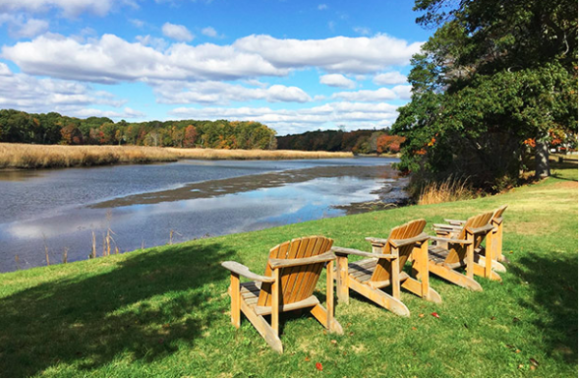 We’re delighted to share the news with our readers that Ashlee Centrella of TripAdvisor has informed us that Old Lyme has been selected as one of their 16 Best New England Fall Foliage Getaways. That’s good news in itself, but we also have the chance to vote for Old Lyme to be THE Best New England Fall Foliage Getaway! This honor will be bestowed on the town in New England that offers, in Centrella’s words, “the best small-town charm vacations in New England,” combined with the best fall foliage. You can read TripAdvisor’s article on the 16 candidates for the honor at this link and most importantly scroll to the bottom to vote (for Old Lyme, of course!) at the end of it. You don’t have to give your email or register for anything so please, please help Old Lyme win this award. We’re currently running second with 11 percent of the votes cast, significantly ahead of Essex, Mass. and Damariscotta, Maine, which both have precisely 0 percent of the votes, but way behind Millinocket, Maine, which has a whopping 63 percent of the vote. So, dear readers, get your fingers to work, and let’s vote like crazy so Old Lyme not only overtakes Millinocket, Maine, but also goes on to win this contest! We know the Lyme-Old Lyme Chamber of Commerce will be supporting this effort as it would obviously be extremely beneficial to all our tourist- and hospitality-based businesses to win this competition. We thank the Florence Griswold Museum sincerely for already having highlighted the contest and voting option in their communications. We are sure the Town of Old Lyme and other civic and community institutions in town will be putting out the word too. Let’s see if we can get some poster up around town publicizing the news. And if YOU represent an organization that can share this news and the voting option with your members and supporters, then please go ahead and share, share, share via e-mail, social media, and even good old snail mail! Thank you and VOTE OLD LYME! Explore the beautiful trails of the Brockway Hawthorne Preserve, Oct. 14. The Lyme Land Trust hosts an opening celebration for its newest property, the Brockway-Hawthorne Preserve, at 2 p.m., Sunday, Oct. 22. Meet at the Brockway-Hawthorne Preserve Parking Lot, Brush Hill Rd. in Lyme. 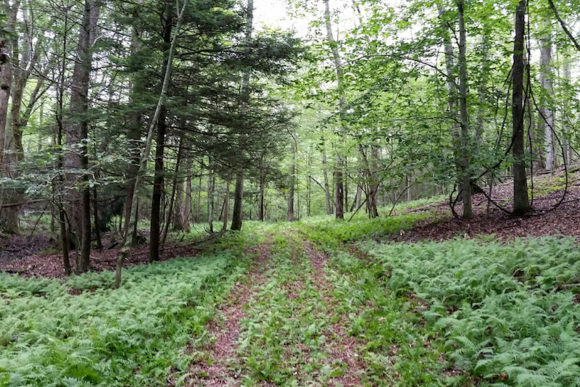 This 82-acre nature preserve has been developed with hiking trails that traverse all the significant places from savannah-like terrain bordered by stone walls to some of the last remaining hemlock stands in Lyme. Parts of the trails meander along Whalebone Creek with wonderful rocky outcroppings and crossings on bridges built by Dominion Power Station volunteers. 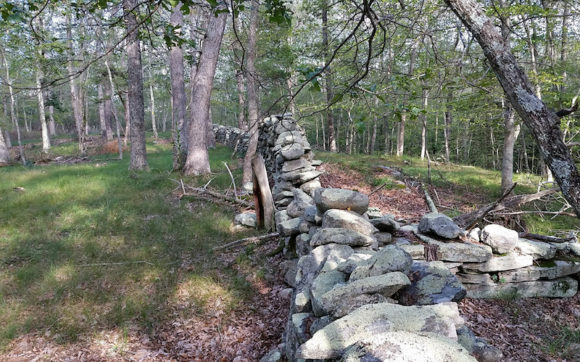 See this stone wall in the Brockway Hawthorne Preserve. The trails connect with the existing system at the Ravine Trail, which, in combination with Selden Creek Preserve, offers an extensive network of trails with many diverse habitats. 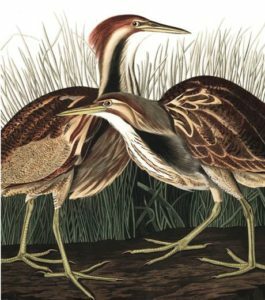 After the ribbon cutting, join Ralph Lewis former State of CT geologist and Tony Irving, forest ecologist for a short walk “Talk and Walk” looking at the long- and short-term land-use history of the preserve. See how bedrock and glacial geology shaped the land, thus dictating how it has been worked over the centuries. Every leap year, Rogers Lake is scheduled to be lowered in the fall so that landowners can perform any maintenance at the waters edge. But this did not happen in 2016 due to the drought. The drawdown will start after Labor Day and the full drawdown of a maximum of 14 inches should occur by mid-September. The drawdown will be maintained from mid-September to Nov. 1. These intrepid Lyme-Old Lyme Troop 26 Boy Scouts and Scot Leaders attended ‘Swamp Base’ in July of this year. From left to right, (front row) Brooke Smith, Swampbase guide; Mike Miller, Theodore Wayland, Dennys Andrades, Maxwell Bauchmann, and Peter Bauchmann; (back row) Mark Wayland, John Miller, Evan St. Louis, and Mary Powell-St.Louis. 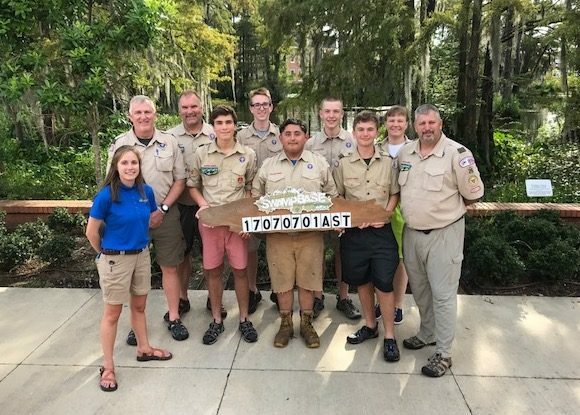 Editor’s Note: This personal account of the Swamp Base 2017 experience was submitted by Life Scouts Evan St. Louis and Theodore Wayland. 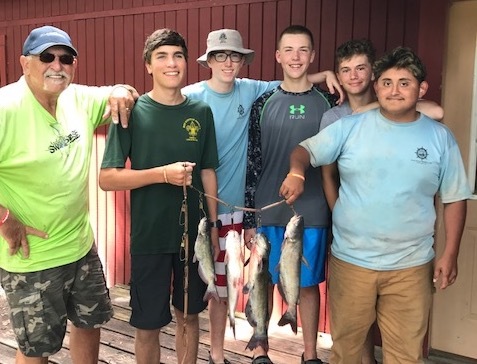 On July 7, Lyme-Old Lyme Boy Scout Troop 26 became the first ever Connecticut troop to attend the Boy Scouts of America High Adventure called Swamp Base. 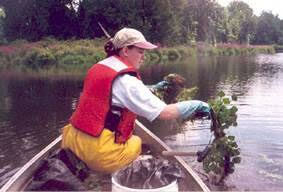 This program is based at the Atchafalaya Swamps in southern Louisiana. On the day of our arrival, our crew of five scouts and four adult leaders visited the nearby town of Lafayette, to sample local cuisine and to become acclimated to the local temperature and humidity. The next day, our first full day in the area, we traveled to a historical region called Vermilionville and learned about the Acadian culture of southern Louisiana. We met our guide for the trip, Brooke, a sophomore at the University of Louisiana at Lafayette (ULL.) That night we thoroughly checked all our equipment and provisions then fell fast asleep in the ULL dorms. Cypress groves stand tall in the Henderson Swamp. Our swamp venture began very early that next morning as we drove to a spot at the start of a canal and launched our canoes. The canal went on for 4.4 miles. At the end of the canal, it seemed as though there was a wall of trees, and that section of paddling was aptly called “The Wall” by our guide. That area was perhaps the most challenging section of the whole trip. There were trees and shrubs very close together, and you had to stay in the middle of the waterway to avoid wasp nests. Thankfully, we made it through this section unscathed and there were no wasps anywhere else on the trip. After the narrows opened up into the Henderson Swamp, there was much more room to maneuver. The first day we traveled 19.3 miles to houseboats where we would be sleeping. 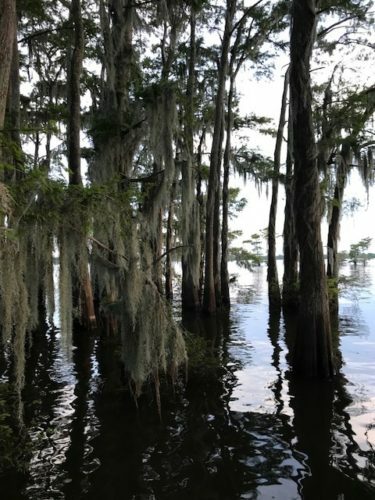 The Henderson swamp had areas where the Cypress trees were logged over 100 years ago, and any trees that are left were considered the runts back then. Our houseboat captain gave a fascinating overview on the alligators of the Bayous, and their role in the environment. At this point, we had seen enough alligator behavior to realize that they are more scared of us then we were of them, and would try to avoid us. The next morning, we had an exciting airboat tour of the outlying areas of Henderson Swamp where cypress trees grew in groves. It truly is amazing that the Cypress trees can grow in over six feet of water. After all of the beautiful sights on the airboat tour, it would be back to traveling under our own power. This day we would cover 10.3 miles; however, after paddling only about a mile from the houseboats, we had to portage our canoes over a levee. This portage was 900 feet long and over the 25-foot-tall levee, but with the extra weight of gear and canoes, it felt much longer. The late morning heat was near its peak adding to the challenge of this portage. After that, the paddle was nice and slow with a wide-open waterway, with plenty of shade from the heat. That night, we slept on Rougarou Island in hammocks covered with mosquito-netting. The Rougarou was a creature similar to a werewolf in the legends of the Laurentian French communities – fortunately there were no modern versions present during our trip! We also had a blowgun contest with very basic materials – this was fun, but may not have provided us too much security if a Rougarou showed up. Our next day of paddling was 14.4 miles and not too difficult, but the wildlife was probably the most diverse that we saw throughout our trip. We saw a wide variety of birds and plants in different areas, and quite a few alligators, the most on any day of our journey. Midday of this paddle, it began pouring with rain, and there was an interesting sight of the giant raindrops bouncing on the water as they hit it, but multiplied millions of times. This was the point we were really glad to have dry bags, so none of our gear got wet. After the rain stopped, we still had to cross two lakes, which were strenuous, but we knew how close Island Outpost was, our final stop. Once we arrived, the Boy Scout crew that had arrived the previous day helped us get our canoes onto the dock. On Island Outpost, there were showers, and clean water was readily available. We would be sleeping in cabins for two nights, on bunks in rustic cabins, after enjoying our jambalaya dinner prepared for us. The next day at Island Outpost we had no paddling and enjoyed other relaxing activities including swimming, boating, and paddle boarding. There were fishing trips by boat, and setting out catfish jug lines. After later checking the jug lines to harvest our catch, we enjoyed a catfish fry that would be a side to gumbo for dinner with plentiful Cajun spice to notch up the heat. The morning of the last day, we woke up before 5 a.m. to be able to see the sunrise at 6:13 a.m. on Sandy Cove from a great vantage point. We were in the water at about 5:30 a.m. and started immediately. We made it to the outlook point just in time, because within a minute of us arriving, the top of the sun had started to peek above the horizon. It was definitely worth waking up for, to see the sun climb up into the sky rapidly. 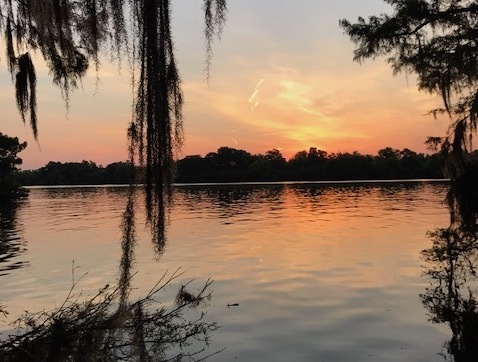 A beautiful early morning view of the bayou. After eating breakfast on the water, we continued paddling, trying to get to the next scheduled portage early before it got too hot. We went in between ancient Cypress trees on the edge of Lake Fausse Pointe. There were a few alligators there that were very close to us. It was fabulous here too in terms of both the view and the overall cleanliness of the area. The second portage was easier than the first, except for the very end. The end of the second portage, behind the levee, was referred to as the “Swamp Stomp” – an area several hundred-feet long where there was thick mud and certain areas of waist-high water that we had to wade through pulling our canoes. Once we were through the Swamp Stomp, we came out onto a chilly river. This part of our trek was the easiest, because there was a current that carried us almost the whole way to the end of our journey. We had gone swimming off the canoes from time to time on previous days of the trip, but with this current it was not necessary to paddle as much, and at this time it was much more refreshing and enjoyable to be in the water. 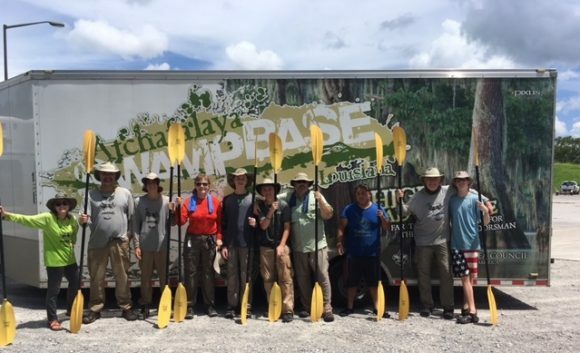 The conquerers of Swamp Base High Adventure 2017 stand with paddles in hand at the end of their successful journey. At the end of our paddling adventure, we had completed 61.6 miles of canoeing the swamps and lakes of this amazing area over five days. We had a sense of accomplishment at completion, and all of us agreed if offered the chance to conquer the Swamp again, we would be there! Y’all come back now, won’t ya?! 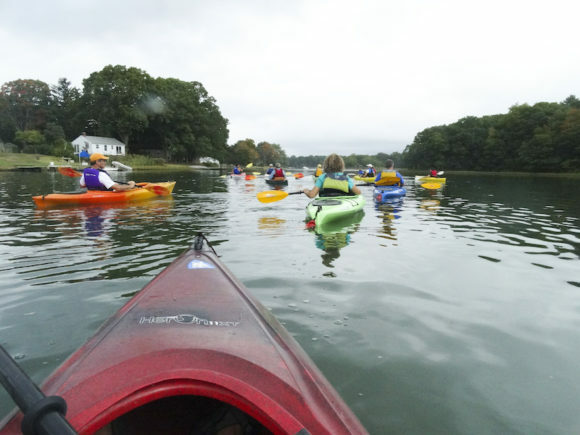 The Old Lyme Land Trust hosts the 4th Annual Kayak Regatta, Sept. 10. All kayakers and canoers are invited to join the 4th annual Kayak Regatta. The Regatta will launch at 1 p.m. on Sunday, Sept. 10, from the Lieutenant River boat launch, located on Rte. 156 near Ferry Rd. The launch will start on the rising tide; boaters can take the opportunity to put ashore at the Morning Glory Café for lunch or to meet with friends, or continue up river to explore from the water the natural beauty and features of the Lieutenant River. The river was once a thriving boat building center and is now a serene protected waterway surrounded by salt marsh and cliffs. The tour will pass several Old Lyme Land Trust preserves, Lohmann Buck Twining and the Roger Tory Peterson Refuge. On the eastern bank of the river the Regatta will pass the picturesque grounds of the Bee and Thistle Inn and the Florence Griswold Museum. During the high tide, a side trip up the Mill Brook River is possible. Beaver dams and fish ladders can be seen before reaching Rogers Lake. 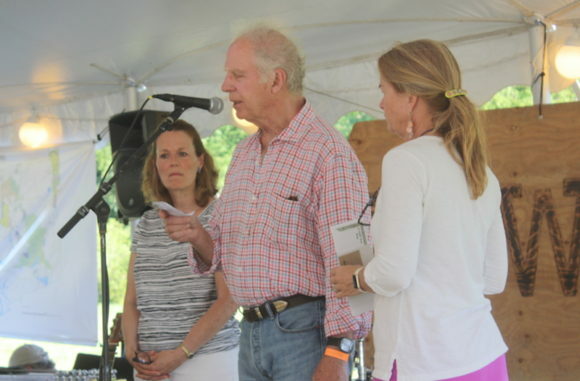 The Regatta will be led by Fred Fenton, an experienced kayaker and a long time director of the Old Lyme Land Trust (OLLT). Fenton will point out special features of the area and answer questions about the preserves. The Regatta will be held rain or shine. No registration is needed and there is no charge for the Regatta. Donations to the OLLT will be gratefully accepted. For more information, visit www.oldlymelandtrust.org or contact fredffenton@gmail.com. Send your e-mail if you would like to be notified of cancellation. 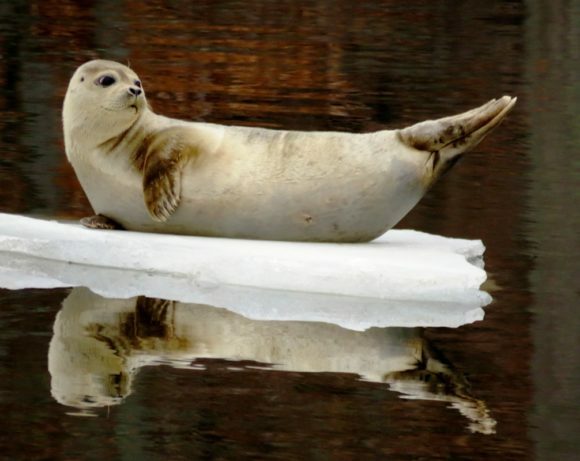 Personal flotation devices, i.e. life jackets are mandatory. 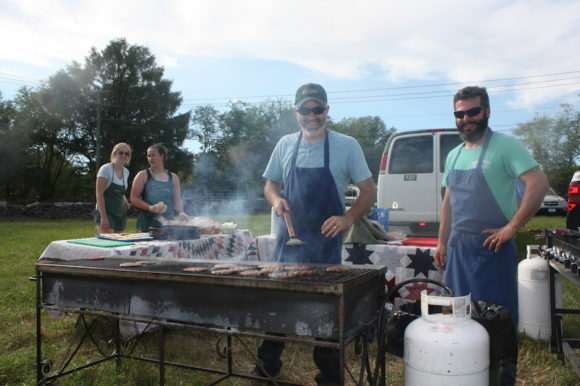 The Lyme Land Conservation Trust celebrated its 50th anniversary last Saturday with a barbecue picnic on the field next to the iconic Grassy Hill Church that the Land Trust saved several years from being turned into a housing development. 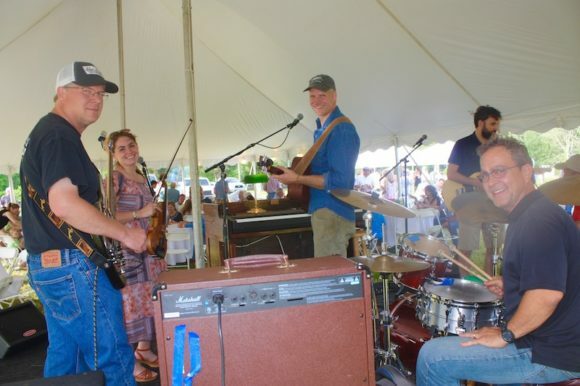 In keeping with the Land Trust’s tradition of focusing its energies on environmental preservation rather than social galas, the picnic was low-key and informal. 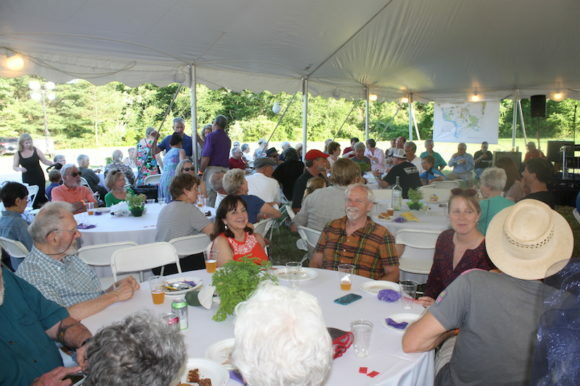 President John Pritchard’s remarks were brief, noting the Land Trust’s astounding success in helping to protect the rural character of Lyme, thanking the picnic volunteers, and reminding the picnickers that they are responsible for the Land Trust’s achievements. He then turned the microphone back the Plywood Cowboy band, which provided lively music for the event. And clearly a good time was had by all! The OLCLC Edible Garden is thriving. The cold start to the month of June may have had many gardeners worried about their harvest. 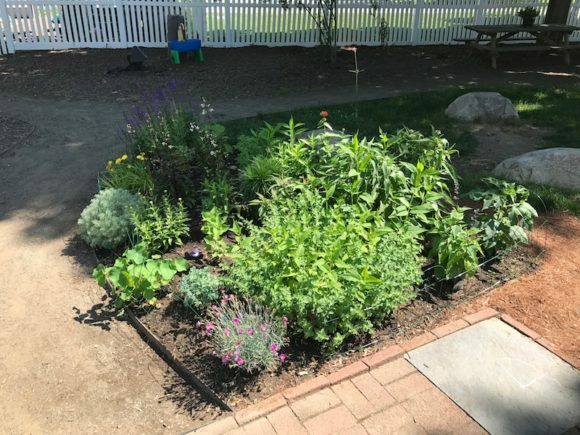 Thanks to the pro bono labor of Anu Koiv, the children of the Old Lyme Children’s Learning Center (OLCLC) have already been enjoying fruits and vegetables from their thriving edible garden. Anu Koiv not only works pro bono on the edible garden, but also on the beds that surround the OLCLC. 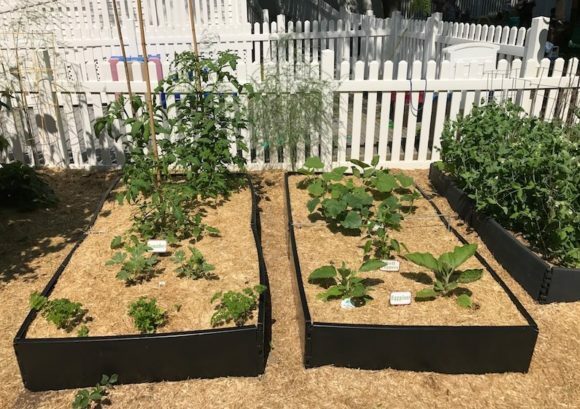 “Not only do the kids get to learn about eating healthy foods, but they learn about sustainability and how to manage their own garden,” says Alison Zanardi, director of the OLCLC. It is not very often that preschoolers have the opportunity to interact with a garden and a myriad of different fruits and vegetables like this one. 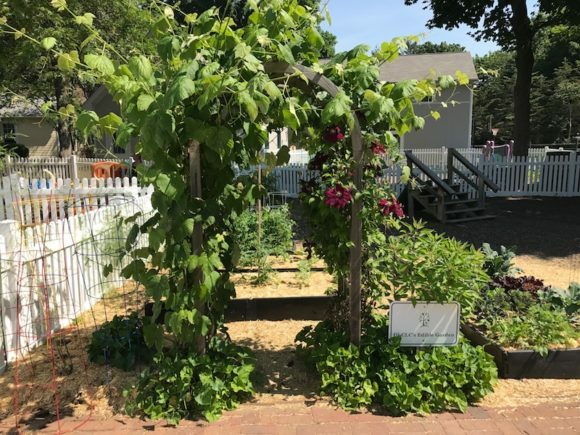 The kids can interact with the plants in the sensory garden, feeling and smelling different tantalizing plants, like mint, cacti and more. Vegetables patiently waiting to be picked by the preschoolers. 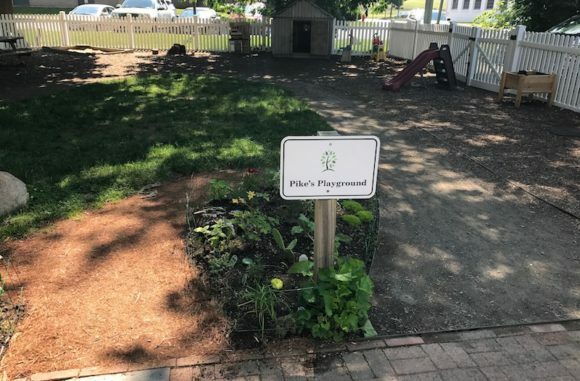 Preschoolers are free to walk around the garden during their time outside and select whatever food that they choose from their luscious garden. Kale chips, fresh tomatoes, blueberries, and strawberries are often enjoyed as snacks. More vegetables in the Edible Garden that are ‘ripe for the picking’ by the preschoolers. Anu Koiv is the mastermind behind the garden, and the staff and students are all extremely appreciative of the work she has done. 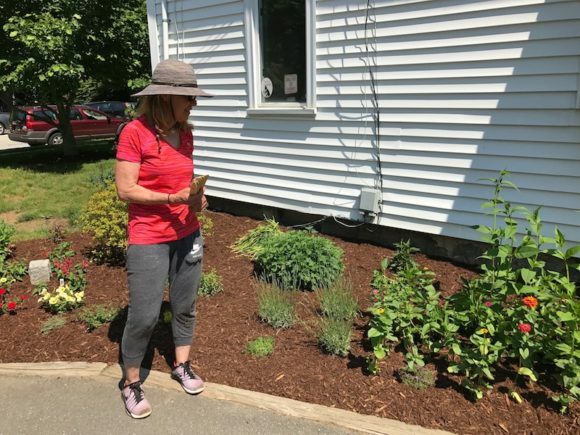 Not only is she building a garden for the benefit of the preschooler’s education, but also to benefit the wildlife who will be inhabiting the garden. “We’re inviting nature back into the landscape of the courtyard. Each and every plant has ornamental and food value,” notes Koiv. Pike’s Playground is named in honor of Connie Pike, founder of the OLCLC. Children can interact with plants in the sensory garden. 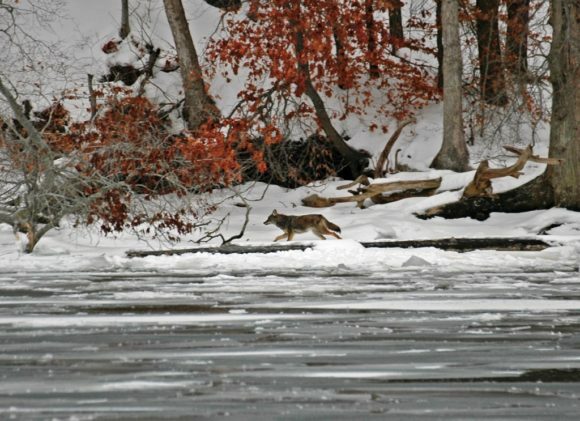 There is an emerging threat to the Connecticut River and the waters within its basin that any boater, paddler, angler or property manager can help control. European water chestnut (Trapa natans) is an aquatic invasive plant that spreads rapidly, covering bodies of water with dense foliage impeding recreational activities such as boating, fishing, and swimming. 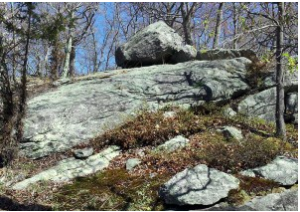 Potapaug Audubon is sponsoring a “Hike at Nehantic State Forest” on Sunday, May 7, with leader Leader Fran Zygmont from Litchfield Hills Audubon Society. 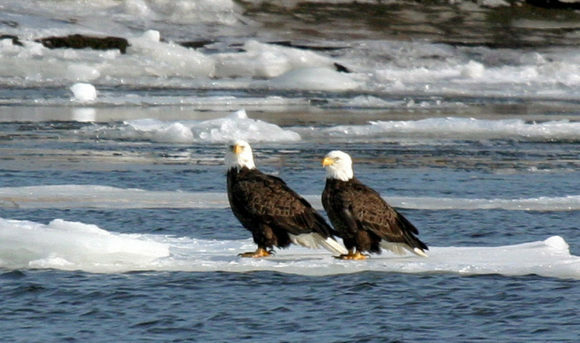 This is a follow up to his Bird Migration program at Old Lyme Town Hall. Meet at commuter parking lot at Exit 70 off I-95 on Rte. 156 in Old Lyme between 7 and 7:15 a.m. to carpool. Groups leave promptly for Nehantic at 7:15 a.m. to start the walk at 7:30 a.m.
Zygmont will demonstrate a few of his amazing bird song imitations. The rain date for the walk is May 13. The Board of Directors and Grants Committee of the Rockfall Foundation are pleased to announce that twelve environmental programs throughout the Lower Connecticut River Valley received grants in the latest funding cycle. More than $28,000 was awarded to support environmental education and conservation efforts that will have a combined benefit for nearly 2,000 students and many more adults and families in the region.